The film adaptation of Philip Reeve's "Mortal Engines" is stunning to look at but rushes you through the rich potential of the story. Venturing to see Mortal Engines is done with hope and trepidation. At least that’s how I feel. That’s because I’ve read “Mortal Engines” by Philip Reeve and I’m not one of the many who has a deep affection for the book. I found it lacking in imagery; so much so that I could never fully picture in my mind just what this future world of traction cities looks like. With Peter Jackson (King Kong, The Lord of the Rings trilogy) as a screenwriter and producer attached to the film adaptation of “Mortal Engines” and visual effects maestro Christian Rivers (The Hobbit, The Lovely Bones) directing the film, plus Dan Hennah (Thor: Ragnarok, The Warrior’s Way) on board as production designer, I had hope that they would fill in the gaps of Reeve’s book and create a spectacular post-war, steampunk world. Their work is a success on that front; others not so much. 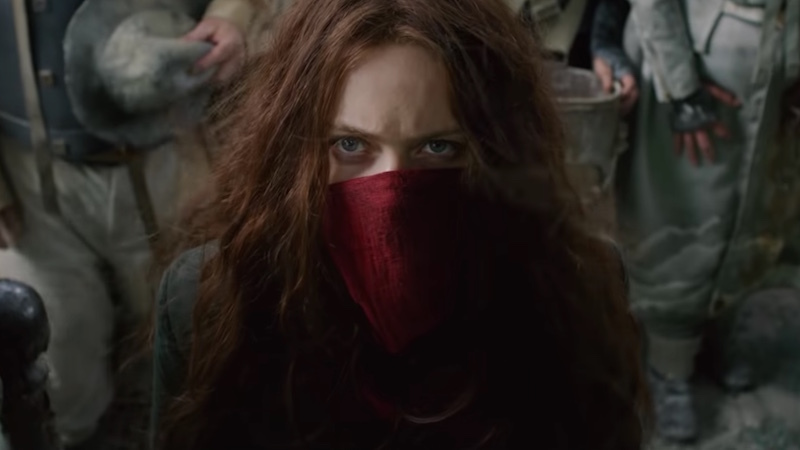 The plot of Mortal Engines is very basic: a young woman seeks to avenge her mother’s death against a powerful man who just happens to be building an all-powerful weapon to take over the world. That’s the CliffsNotes version. Dive a bit further in and you’d know that Hester Shaw (Hera Hilmar from Anna Karenina) is the young woman and she doesn’t succeed with her plan to kill Thaddeus Valentine (Hugo Weaving of Cloud Atlas) because Tom Natsworthy (Geostorm‘s Robert Sheehan) gets in the way. Hester must escape from London where Valentine lives but in a twist, Tom goes with her into the wasteland that is the world outside. They then embark on a quest with outlaw Anna Fang (Jihae) to stop Valentine from building the Medusa weapon out of old tech that annihilated the world oh-so-long-ago in the Sixty Minute War. There’s a big catch to all this: The city of London isn’t the London we know so well — it’s a traction city, otherwise referred to as a predator, that rolls along on its caterpillar tracks eating other cities for resources. And it’s running out of food. That brings us to why the production design and visual effects are crucial in Mortal Engines: These hulking metal, mechanical cities must look amazing in order for the viewer to buy into the entire idea that they can and do exist. It’s key to create believability in the steampunk genre, a sub-genre of science fiction, the book “Mortal Engines” belongs to wherein technology and design are drawn from the 19th century. I like to think steampunk is a vision of the future from an alternative past. It’s a prettier Industrial Revolution, full of style and substance (and glass combined with metal), and large rotating gears in the case of Mortal Engines. You can liken Mad Max Fury Road to steampunk (many do) but it’s more dieselpunk — much, much dirtier. In Mortal Engines, though, there are notes of dieselpunk given that society is on the brink of extinction. It’s also tinged with plenty of despicable characters and doings that make the Municipal Darwinism London participates in lose some luster. The socialism hybrid that includes a strict class system doesn’t help either. The visual effects and production design in Mortal Engines create this steampunk/dieselpunk world beautifully. London is a marvel that has to be seen on screen to fully appreciate the many intricacies that went into its design, from the high-class upper deck to the bowels below where eaten cities are looted then destroyed. There are throwbacks to past-London, with phone booths and what you can only presume is The London Eye. St. James Cathedral is a prominent part of Mortal Engines’ London but not for mass. It’s more of a Dr. Frankenstein’s laboratory now and houses the horror of the past that may rise again. And the smaller cities, they were given just as much attention to detail. A favorite is out of Bulgaria that can fold up on itself like a child’s toy. The city in the sky, Air Haven, is something out of a fairytale. It’s magical with its color-scape. 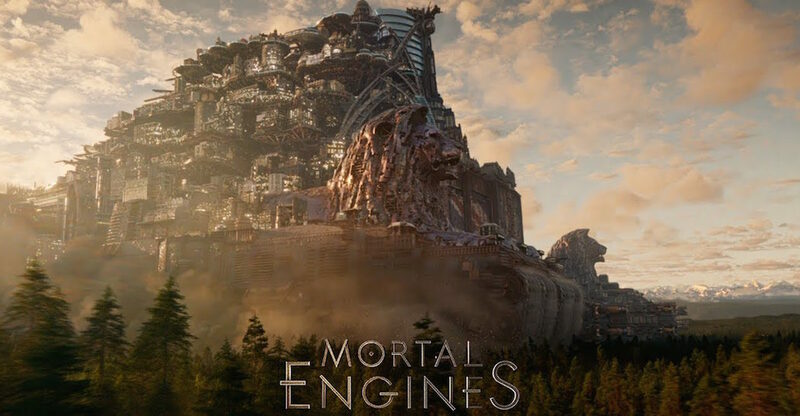 The look of Mortal Engines and its visual effects do not falter at any time throughout the film. If you need just one reason to see the movie, it is for the visual world the filmmakers have created. The rest of Mortal Engines, unfortunately, doesn’t deserve as much praise. Mortal Engines has a running time of two hours eight minutes including credits. Given the FX work, there are at least eight minutes of credits (probably more). That means the actual plot of the film, the action, has two hours to develop, climax and resolve itself. Mortal Engines needed much more time. And this is not considering the book as source material but Mortal Engines from the perspective of someone who has not read the book. After the first act, Mortal Engines feels very hurried in a negative way. Screenwriters Fran Walsh, Philippa Boyens, and Peter Jackson clearly felt the need to include a great deal in a condensed fashion. The trade-off is not enough development of certain characters or storylines. Conflict arises and is resolved over and over again without the needed substance to fill in the middle. 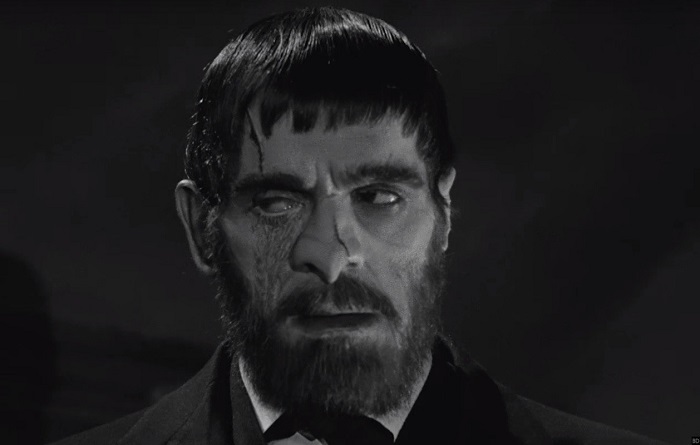 The Stalker, Shrike, whom Hester has a major connection to, gets the worst treatment. Even if you haven’t read the “Mortal Engines” book, you’re going to feel that his character just doesn’t fit right in the story. It’s a shame because Shrike is a fascinating character that adds a depth to the science fiction backstory of Mortal Engines that makes the story grander in scope. Instead, Mortal Engines apart from its visuals is small and doesn’t have a consistent sense of time or place. Actual story time moves too quickly, locations are confusing, distances lack realism, and logistics get lost. It only makes it worse that every actor in the film does a great job with what they have. If they’d had more, you can only imagine the possibilities. You have to wonder why Peter Jackson, the filmmaker who loves to break books apart into multiple movies, didn’t advocate to do that with “Mortal Engines.” It has plenty that could have been fleshed out more and with more time the feeling of being rushed through the backstory of every character, their connection to each other or people from the past, could have been solved. A two-film adaptation of “Mortal Engines” would have been much better. We don’t get that, though. It’s hard to say whether I’d sit through Mortal Engines in its entirety again. I’d likely just watch the most visually striking scenes and the chase between London and the Bulgarian traction city since it’s a wonder to see how the city eating occurs. I do think seeing the entire film once is a good idea, whether you have read the book or not. Even with its pitfalls, Mortal Engines is entertaining. The way it pokes fun at our present/its past is good for a few laughs, too.